"Welcome to Boditech Med Inc. A World Market Leader in in vitro Diagnostics!" We pursue our fundamental corporate value “Respect for Life” with a focus on high quality, user friendliness products. We are making relentless efforts to develop world-class in vitro diagnostics instruments and reagents. Our goal is to provide everyone with safe and convenient diagnostic products to improve human health and well-being. 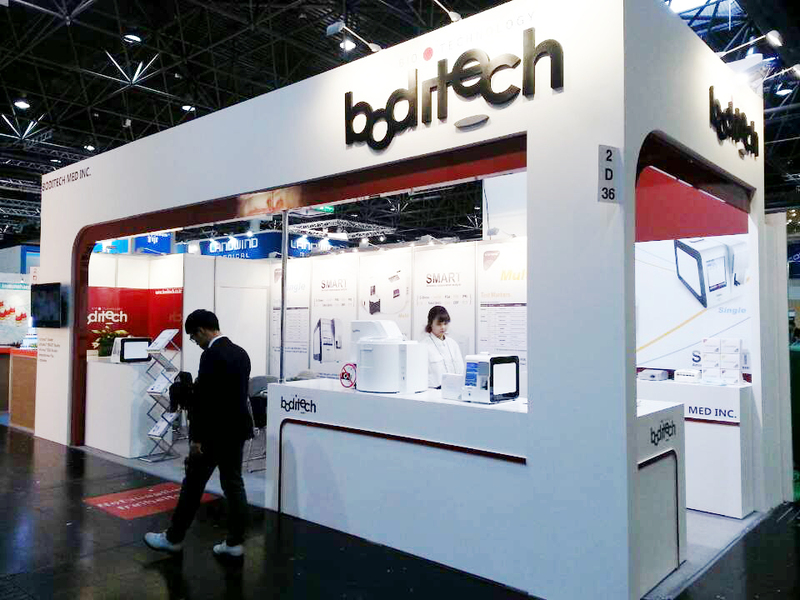 Since the establishment in 1998, Boditech Med Inc. has provided high quality in vitro diagnostics analyzers and reagents to customers worldwide. The Company has significantly grown at a tremendous rate over the years. We are currently committed to providing over 70 countries with two main products: ichroma and hemochroma Plus. We have maintained no. 1 position in reagent sales of a particular item over the past two years in the Chinese market. The Company will continue its efforts to enhance human health and wellness by providing a wider range of diagnostic biomarkers and automated analyzers throughout the world. Boditech Med Inc. is leading a paradigm shift in the in vitro diagnostics industry, induced by its whole blood-based technology. The Company's biomarkers produce a wide range of quantitative test results by using our novel portable analyzers. Acknowledging that a growing number of people recently need better healthcare services in modern society, the Company will contribute its dedication to improving access to accurate and simple diagnostics services backed by its own innovative technology. Boditech Med Inc. always feels that it owes a great deal of responsibilities to its employees as well as to its clients and shareholders. To improve employee health and welfare, the Company built an exemplary childcare center, a club house and sports facilities for employees in the Company premises. The Company believes that taking care of its employees would be a good start to realize its fundamental corporate value, “Respect for Life.” The Company provides equal employment opportunities to all individuals.